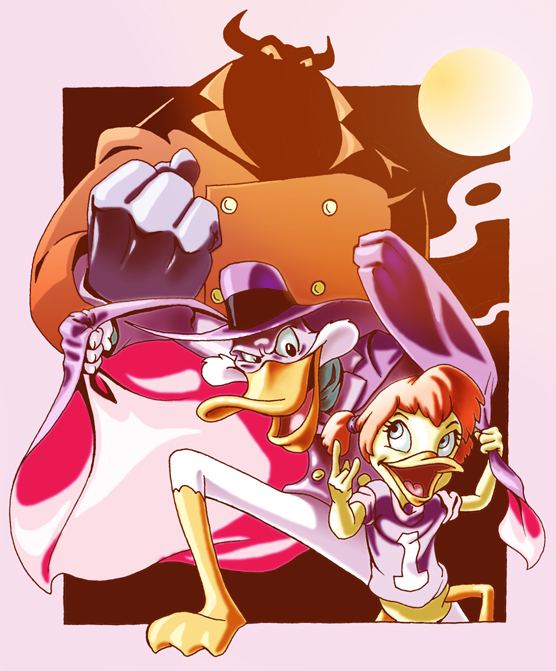 Here's a fanart based on the pilot episode of Darkwing Duck, one of my old favorites. This is one of those rare times where I tried to stay as close to the show models as possible. Amazing! The characters and colors are fantastic, and it all makes me want to go back and watch this episode (a favorite of mine as well) yet again. Ah,what fond memories this brings back. I give this a 10+. O_O DUUUDEEE!! I think I've found another great artist!! XD This is awesome!!! The shading is great!